The WBC Library provides resources to uplift Jesus Christ and the church, to inspire Christian growth and to enhance leisure time. We have a variety of materials available for all ages— from simple Bible stories to in-depth commentaries and the latest viewpoints by current authors. The library is available any time the church is open. 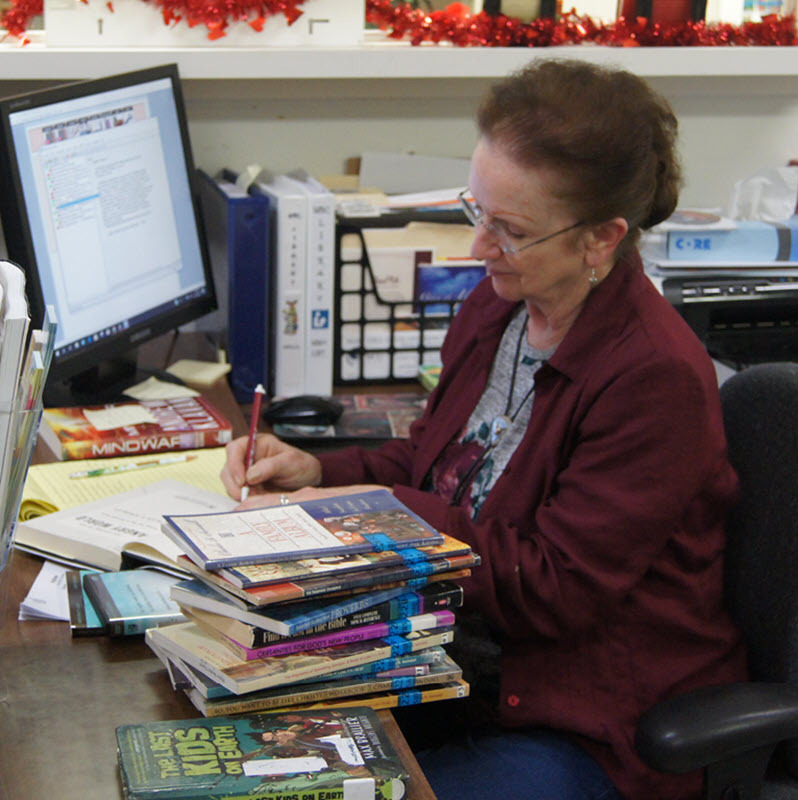 Library staff is available before, between, and after services each week. Come on by and meet your personal Librarian, LeVelle Calbat. Items are available for checkout for two weeks. We serve not only our church membership but our community. With new books and DVDs added each month, our collection is constantly growing. Our favorite words are: CHECK IT OUT!